Step 1: Join the Patrón Social Club on PatrónSocialClub.com, an online dispensary of pics, promos, cocktail recipes + more, which -- though members-only -- does not require any strange initiation rituals and/or schnazzy zip-up jackets. Step 2: Pinpoint your three favorite local activities/venues on the Patrón Tequila Summerology Map, presumably including a place where everyone knows your name and are always glad you came. Want in? 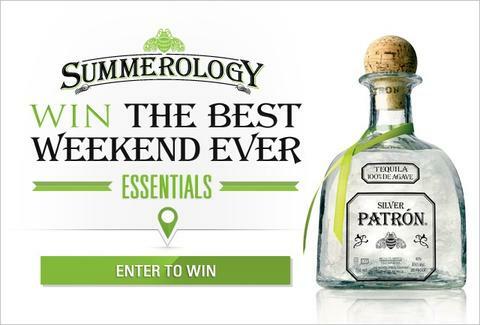 Avoid getting lost in an oblivion of boredom this summer (your couch) with the Patrón Tequila Summerology Map, ‘cause you never know what prizes you’ll find along the way.